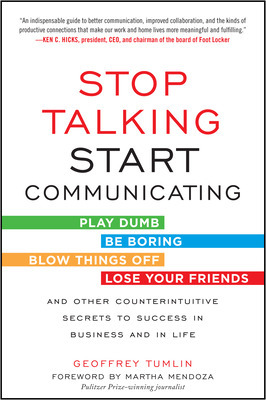 Guest post by Geoffrey Tumlin, author of Stop Talking, Start Communicating: Counterintuitive Secrets to Success in Business and in Life. As the holidays approach, unpleasant memories of last years office holiday party may still linger in many of our minds. Who can forget when Julian from accounting told the vice president of finance that he was bored with accounting, hated everyone in the department, and wanted to get into operations? (The VP certainly hasnt forgotten.) And remember how awkward it felt when Sarah from marketing cornered you by the punch bowl and wouldnt stop talking to you (loudly!) about the rumors surrounding a coworkers recent absence? Or the discomfort you felt when you couldnt recall Bills name as you attempted to introduce him to your boss? If thoughts of this years party make you uneasy, says Geoffrey Tumlin, youre not alone. For many, the office holiday party is an anxiety-provoking festival of faux pas, awkwardness, and other embarrassments. Its the one party of the year that we cant wait to end. Because of the awkward conversations, forgotten names, and a handful of inebriated coworkers, office holiday parties often create as much stress as they are supposed to relieve, says Tumlin. The reasons these parties are so stressful are simple. In many organizations, the company holiday party is one of the few times of the yearand possibly the only timewhen large groups of employees get together socially. The unusual nature of the gatheringtheres often an audience, youre moving from person to person, and youre making much more small talk than usualpresents communication challenges that more routine workplace communication doesnt. Thats where Stop Talking, Start Communicating comes in. Full of counterintuitive yet concrete advice, it draws on Tumlins considerable experience as a communication consultant to show readers how to avoid landmines at this years office holiday party and prevent career-damaging incidents around the holiday punchbowl. Here, Tumlin shares five ways to avoid trouble at this years company holiday party. The lubricating effect of alcohol is largely responsible for many holiday office party communication disasters. It was the cause of Matts disclosure of inappropriate office gossip during the party of 2010, for Jim complaining a bit too loudly about your boss back in 2011, and for Julian the accountant blabbing to the VP of finance that he wanted a more exciting career during last years party. But what if your boss is pressuring you to drink? Theres no easy answer for a boss whos encouraging you to drink, notes Tumlin, but you do have options. You can get a drink and nurse it, or get a drink and say you need to say hello to someone. Or you might say that you dont feel like drinking, either because you dont feel well, or simply because you just dont want to drink on this occasion. You can tactfully break contact by excusing yourself to the food line, to the restroom, or by saying that you need to say hello to someone (your boss is often a good excuse). But if someone is causing a disruption thats leaking out to other people, dont worry about being tactfuljust make a quick exit. No one likes to draw a blank on a name we should have known. Fortunately, you can avoid many uncomfortable moments by recalling, just before the party starts, names of people you expect to see. The best way to increase the odds of remembering a name is to put it at the front of your mind before the interaction, says Tumlin. Take five minutes before the company party to think through the names of people who are likely to be there. Its a simple but powerful way to decrease the number of times you blank on a name you should have known. You can eliminate the dreaded party introduction and a number of other awkward incidents by establishing a few conversational moves with your spouse or with a partner before the holiday party. Its a good idea to offer holiday greetings to your colleagues, your direct reports, and your boss, but dont seek out all of the head honchos and try to give them yuletide greetings at the company party. The most senior people often get hounded by people currying favor at the holiday party, says Tumlin. If a natural conversation emerges with someone from Star Fleet Command, thats great. But dont stand in line to talk to someone you barely know. Shes probably trying to enjoy the party and would almost certainly prefer to be left alone. Greet your boss and, perhaps, your bosss boss. After that, relax and be open to any other conversations that may come your way. The office holiday party shouldnt be something we dread, says Tumlin. This year, lay off the juice, master the exit, review a few names, partner up smartly, and think about the party as a celebration and not as a Santa-themed networking event. With a little bit of luck, this years company holiday party will be unremarkable, and might even be enjoyable. 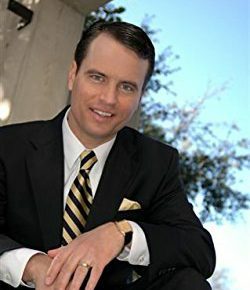 Geoffrey Tumlin is CEO of Mouthpeace Consulting LLC a communication consulting company and president of On-Demand Leadership a leadership development company. A portion of the author’s royalties will be donated to Critical Skills Nonprofit a 501(c)(3) public charity founded by the author to provide communication and leadership skills training to chronically underserved populations. Geoffrey Tumlin is CEO of Mouthpeace Consulting LLC a communication consulting company and president of On-Demand Leadership a leadership development company. A portion of the author's royalties will be donated to Critical Skills Nonprofit a 501(c)(3) public charity founded by the author to provide communication and leadership skills training to chronically underserved populations.